Tim Johnston, whose breakout debut Descent was called "astonishing," "dazzling," and "unforgettable" by critics, returns with The Current, a tour de force about the indelible impact of a crime on the lives of innocent people. In the dead of winter, outside a small Minnesota town, state troopers pull two young women and their car from the icy Black Root River. One is found downriver, drowned, while the other is found at the scene--half frozen but alive. What happened was no accident, and news of the crime awakens the community's memories of another young woman who lost her life in the same river ten years earlier, and whose killer may still live among them. Determined to find answers, the surviving young woman soon realizes that she's connected to the earlier unsolved case by more than just a river, and the deeper she plunges into her own investigation, the closer she comes to dangerous truths, and to the violence that simmers just below the surface of her hometown. Grief, suspicion, the innocent and the guilty--all stir to life in this cold northern town where a young woman can come home, but still not be safe. Brilliantly plotted and unrelentingly propulsive, The Current is a beautifully realized story about the fragility of life, the power of the past, and the need, always, to fight back. Tim Johnston's prose style helps reinforce the melding of the past with the present that takes place throughout THE CURRENT. He often shifts fluidly between memories and current events, in a way that deliberately challenges readers' abilities to decide what's happening and what's only in the mind's eye.... Beautifully written and full of both long-held grief and urgent suspense, THE CURRENT is a perfect novel to keep by your bedside on these long winter nights. 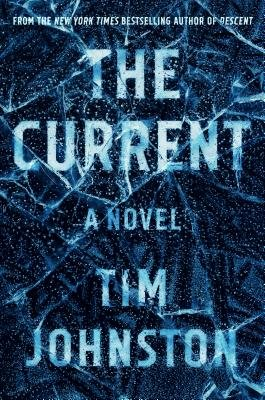 Pick up Tim Johnston's suspenseful novel The Current and you risk finding yourself glued to your chair, eyes to the pages, no thought of attending to daily obligations.... Johnston's elegant, cinematic style takes us into the characters' lives and history, problems and concerns.